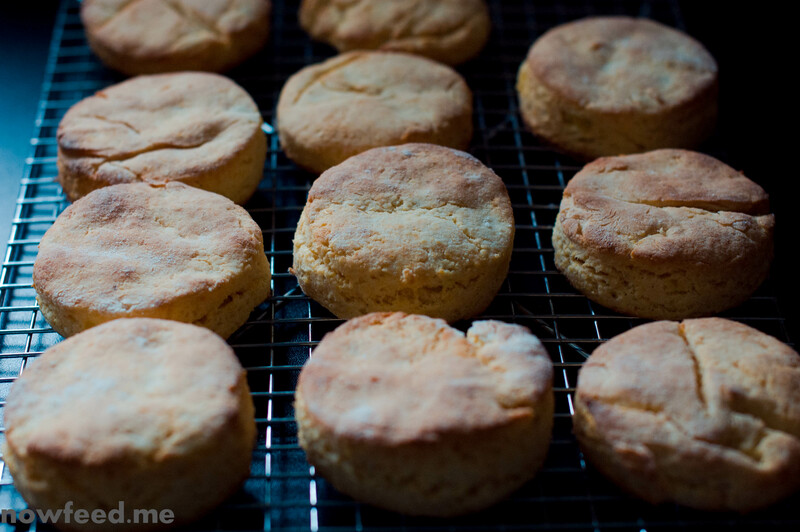 A couple of weeks ago, I tried to make one of my favorite biscuit recipes gluten-free. It was a bomb. The poor things tasted of baking soda, they were so flat and dry, just sad little things. The whole tray of biscuits went into the garbage. Thankfully, I was smart enough to make a small batch in case they didn’t turn out so it wasn’t a huge loss. It wasn’t until a couple of days later that I decided to give it another go. This time I searched for a tried and true gluten-free recipe and the recipe I found did not disappoint (in fact, I’m baking more today). These were tender and sweet (from the maple syrup) and they went perfectly with our sausage and egg breakfast. Notes: I left out the pecans. I used Better Batter flour to make these. I would recommended using a gluten-free blend that is mostly white (such as rice, tapioca, potato starch).